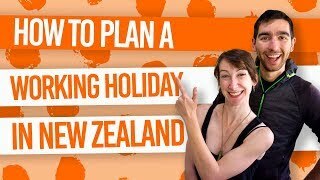 Why take a hop-on hop-off bus to travel New Zealand? “It’s about the journey, man, it’s about the journey,” said the very wise Abraham Lincoln*, which is very true when it comes to travelling New Zealand on a hop-on hop-off bus. Travelling with Stray, Kiwi Experience, or Flying Kiwi, the hop-on hop-off bus companies in New Zealand, is more than just getting from A to B. It’s a social experience and the opportunity to pull over and explore the hidden gems along the road. If you still don’t know what the hell a hop-on hop-off bus is, then let us bring you up to speed with our What is a Hop-on Hop-off Bus? article. Plus, you can get the full details on how to use the buses in How Does the Hop-on Hop-off Bus Work? But for now, get a taste of hop-on hop-off life on the road with these 10 things we like about the hop-on hop-off buses! *Abraham Lincoln said a lot of noteworthy things, but this quote was most definitely not said by him. When hopping on a hop-on hop-off bus, you will find yourself surrounded by people from all over the world looking for the same thing as you: the adventure of their life. They chose the same path as you and took a leap of faith in coming to New Zealand to take a gap year. There is no better way to create bonds with like-minded people than taking a journey through an unknown country with them. You won’t be a “solo” traveller for long. New Zealand is best enjoyed slowly, and taking a hop-on hop-off bus is a great way to do that! Roaming slowly from one place to another, the journey will take much longer than a straight A to B drive would and that’s for the better. Stop at that waterfall, this gorgeous lake, this stunning lookout, and all those places that you would have passed right by otherwise. Oh man, who wouldn’t want to be a bus driver in New Zealand – taking a bunch of enthusiastic backpackers around the most mind-blowing country in the world?! Bus drivers know the country like the back of their hand and are eager to share it. They are also always keen on a good party and will be the first one to show you the best watering hole in the area when arriving somewhere or initiating some campfire drinks. One of the great things about getting a national hop-on hop-off pass (as opposed to a shorter pass) is that your pass is valid for 12 months (or 24 months with Flying Kiwi) from your first date of travel. So you will have plenty of time to stop here and there to explore more or work until the next leg of your trip. You are in charge of your own trip. With a guaranteed night of accommodation at every overnight stop, travelling with a hop-on hop-off bus network makes it a breeze to organise your trip. Just sit back and relax: your driver will organise your accommodation on arrival and you can add extra nights, if needed, when checking in. Same goes for your activities: no need to over-plan. When you feel like joining the group that goes white water rafting, just sign up. Because you will know what to expect, travelling with a hop-on hop-off network makes it easy to budget for your gap year. Your bus pass will cover your transportation budget for the year. Then you can plan one leg of your trip at a time, slowly but surely. For more information on making the most of your dollars on the bus, be sure to read How to Budget for a Hop-on Hop-off Bus Trip Around New Zealand. Your driver guide is a bit of an expert in awesome things to do around New Zealand so they’ll have loads of awesome activities to offer along the way. They will pitch you some activities on offer while you’re travelling around that are sure to get you pumped. More often than not, the driver guide will also be able to tell you first hand what that experience is like. For the smaller activities like sand boarding or hot pools, for instance, the bus driver has you covered. This is included in the price of your pass and every day you’ll get something free to do along the way. Note that even when there are “paid” activities to do you’ll get the option to do something free instead – nothing is mandatory. Not as comprehensive as the coach bus network or as flexible as travelling with your own car, both hop-on hop-off companies visit all the places that you have on your bucket list and probably more. 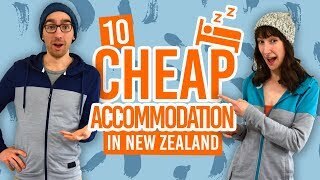 Their extensive network covers most places where backpackers want to go when taking a gap year in New Zealand. Your trip in New Zealand will be unforgettable! You’ll carry those memories with you for a very long time but what you will remember the most are the moments and the laughs that you shared with the people you met on the bus. Plus, when planning your next trip around the world, you’ll have a whole list of international Facebook friends to visit thanks to your time in New Zealand. Give me more hop-on hop-off! Ok, Ok! Here’s more articles to guide you on your way to hop-on hop-off greatness.